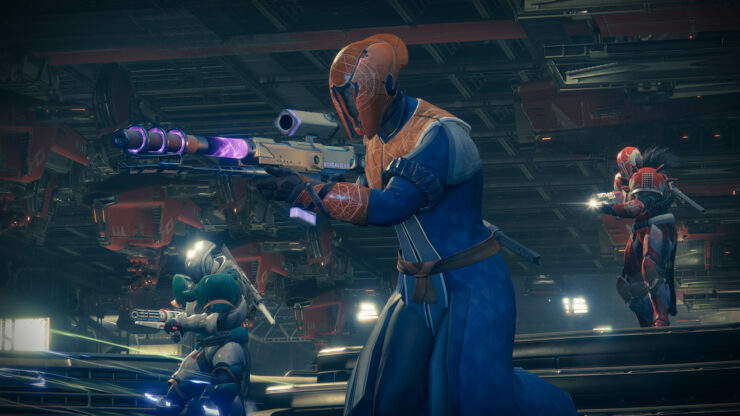 Bungie sent out the E3 2017 press kit, which contains a ton of Destiny 2 screenshots – most of them grabbed at 4K resolution. 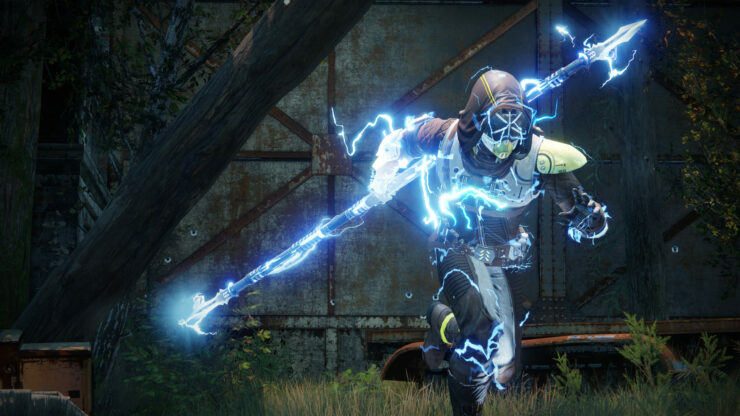 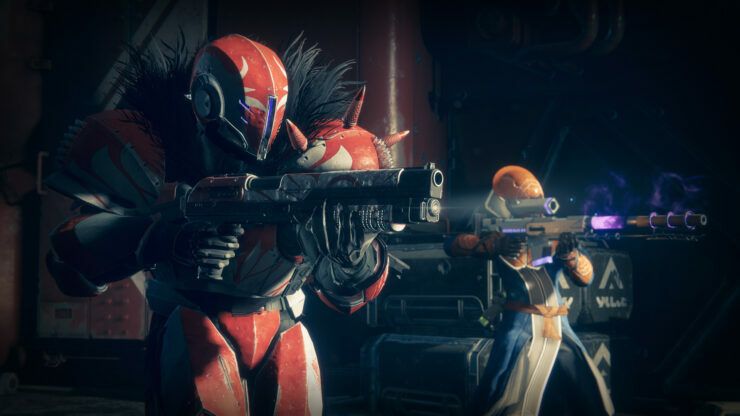 We’ve also posted the official fact sheet, detailing the game’s features and modes – you can find it just after the Destiny 2 screenshots. 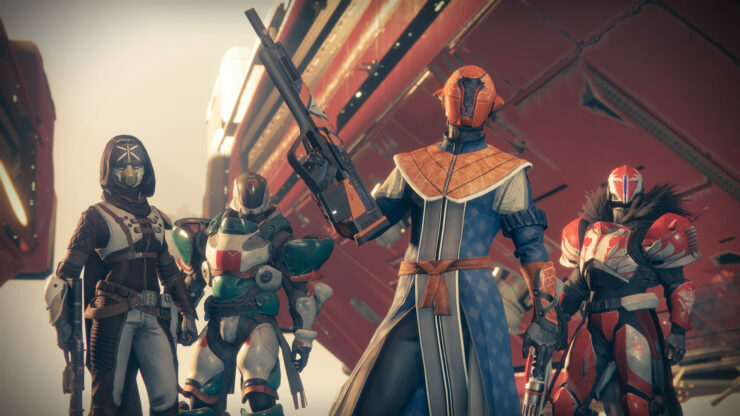 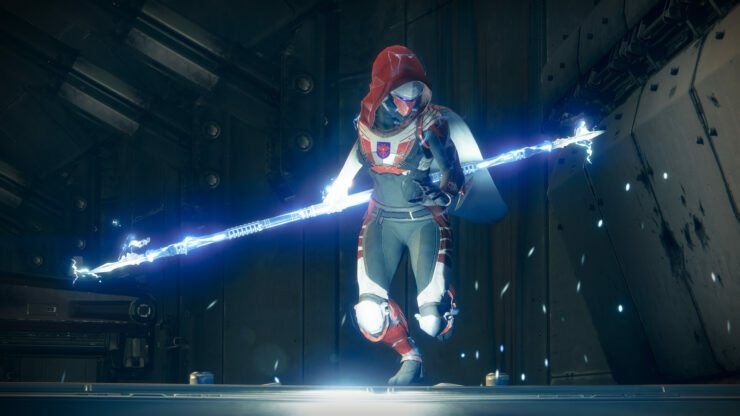 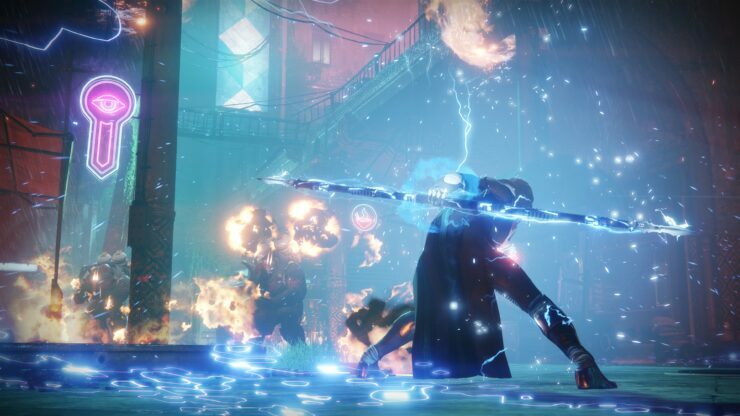 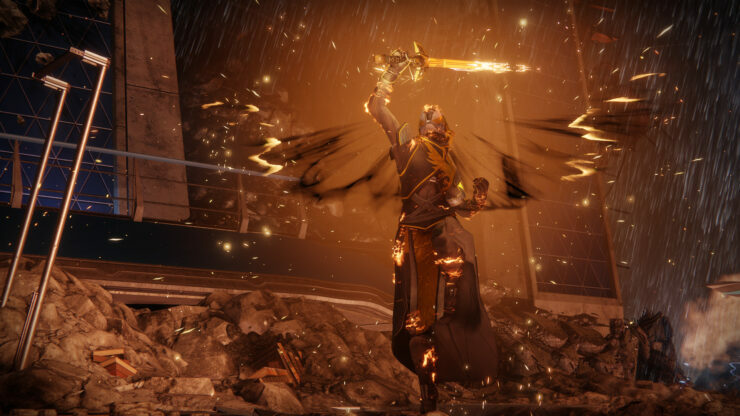 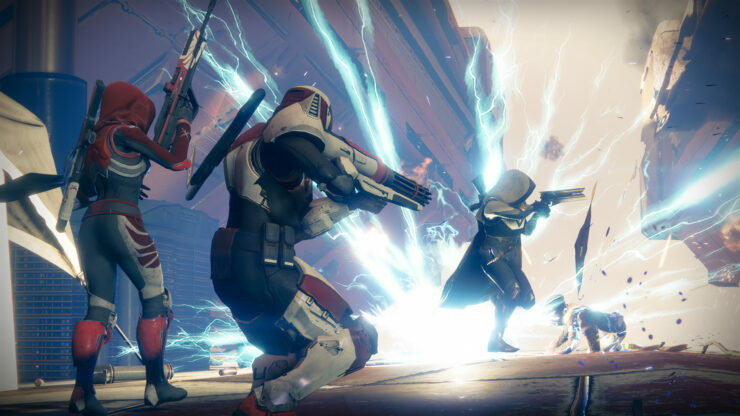 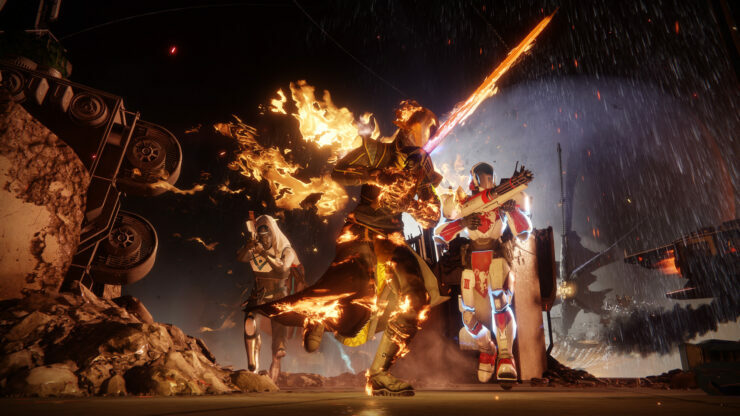 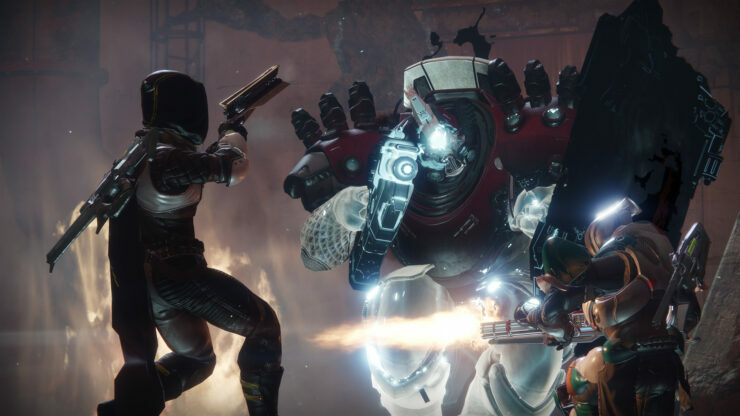 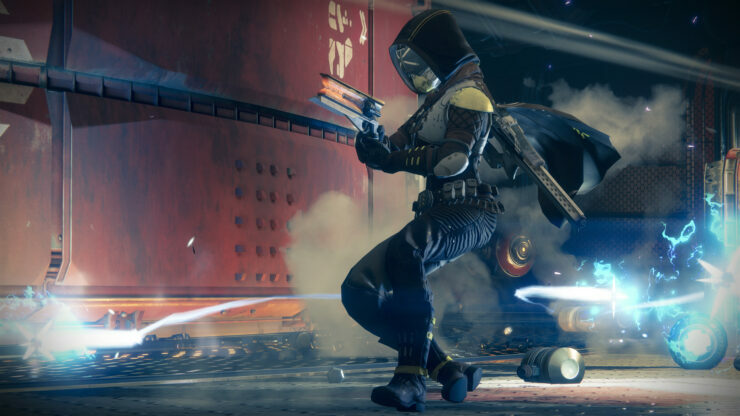 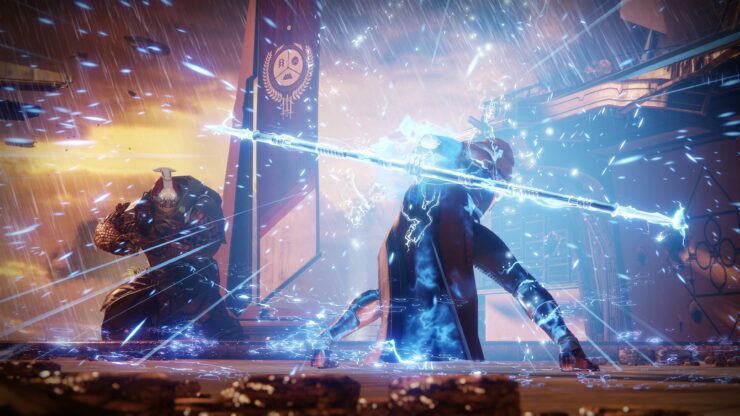 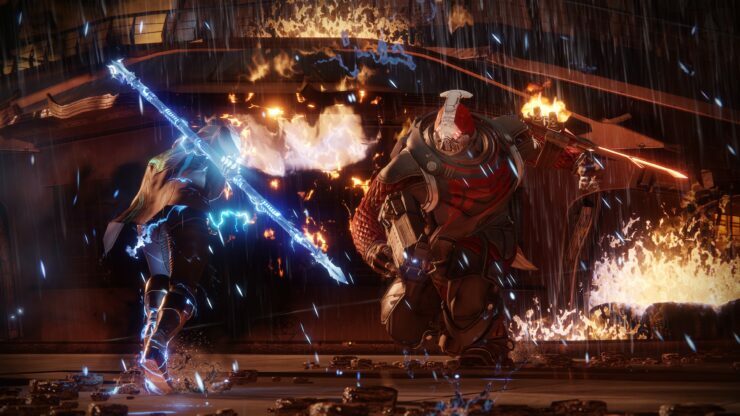 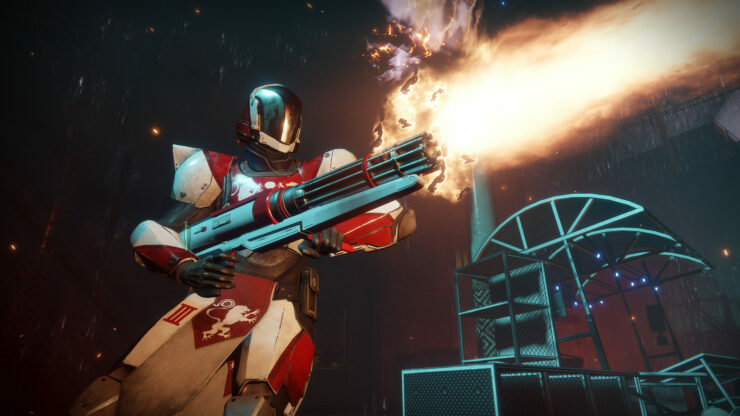 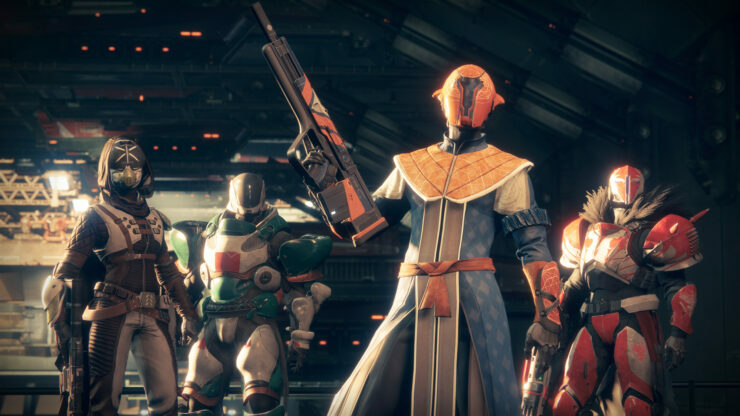 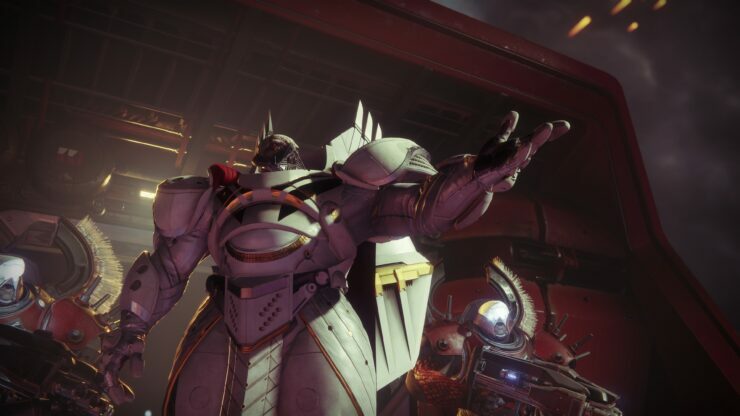 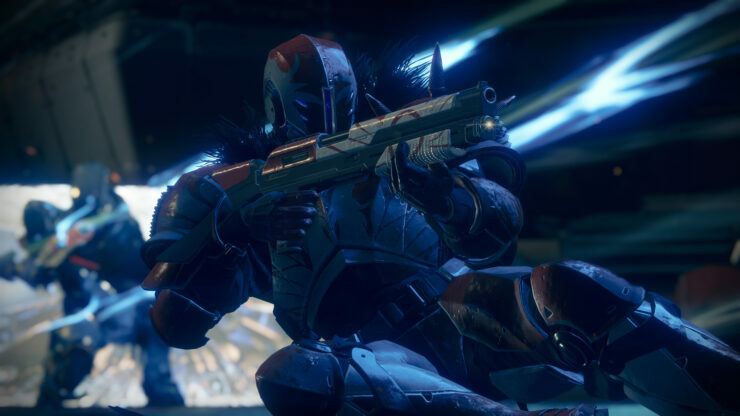 Don’t miss our previous Destiny 2 reports from E3 2017, including the PC release date and the very first PC gameplay at 4K@60FPS. 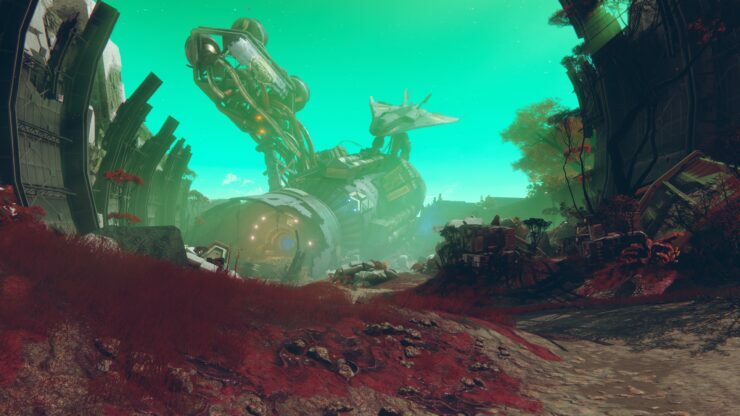 ⦁ European Dead Zone – The largest destination yet featuring a lush forest, abandoned town, a cave system below the surface, and a Red Legion military base to explore and contest. 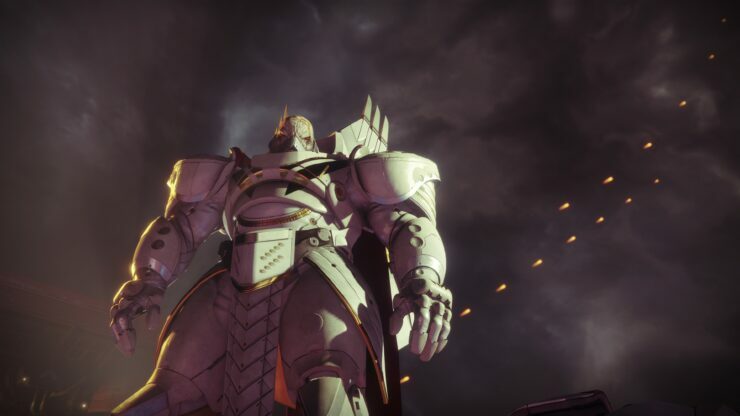 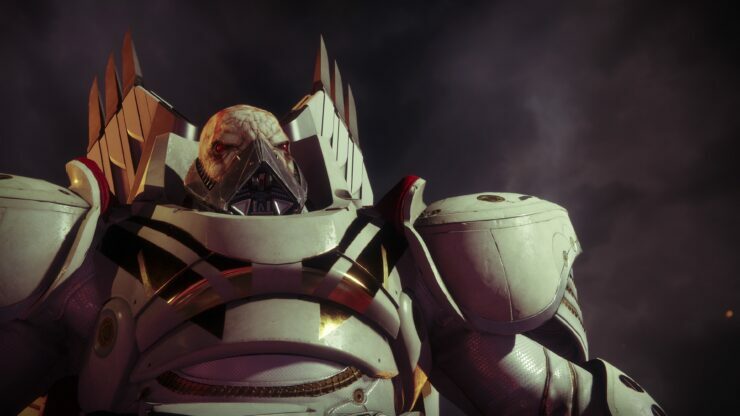 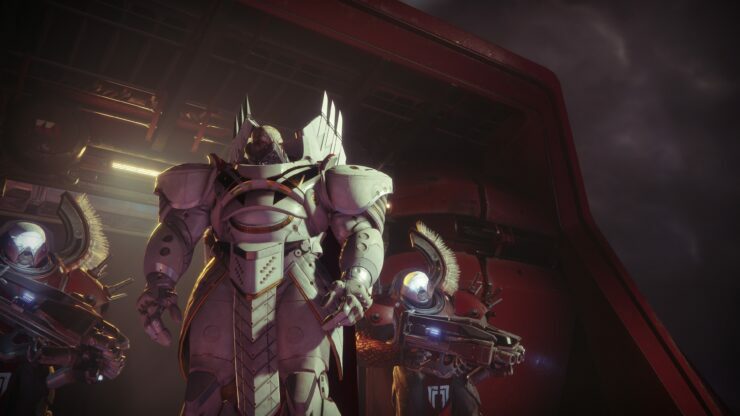 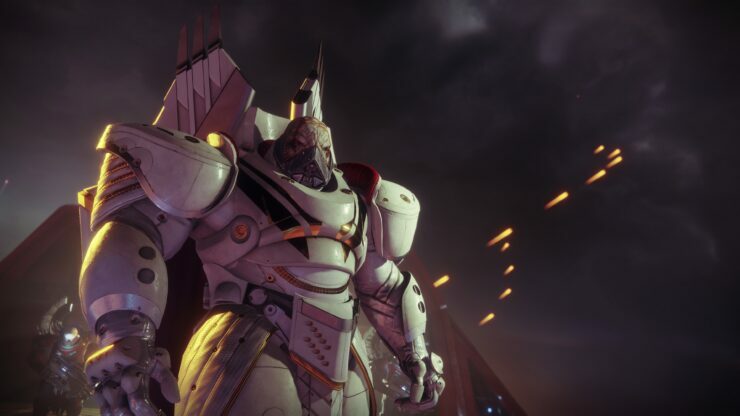 ⦁ Titan – One of Saturn’s Moons where Commander Zavala is regrouping at the hands of Ghaul. 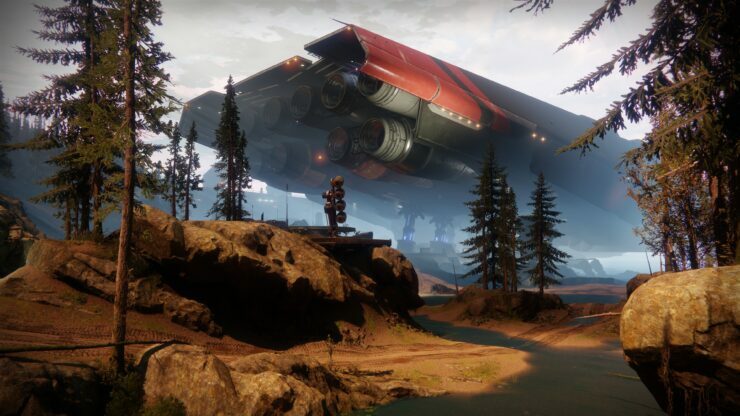 There is no land on Titan. 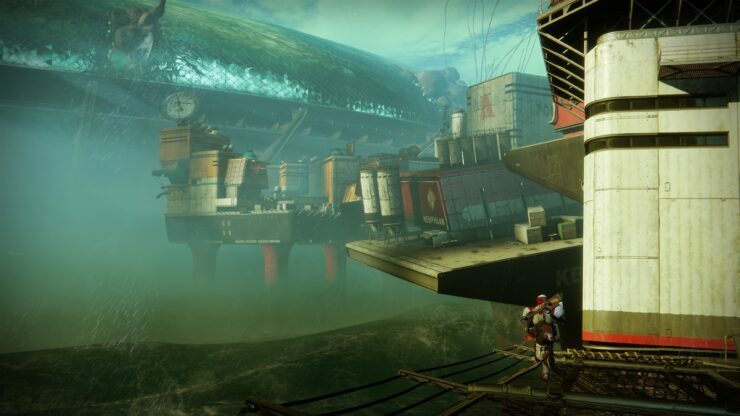 Instead, players explore a series of Golden Age platforms surrounded by a rolling ocean. 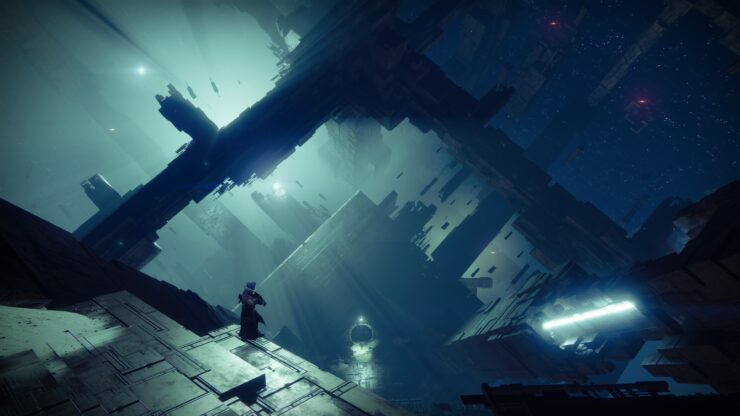 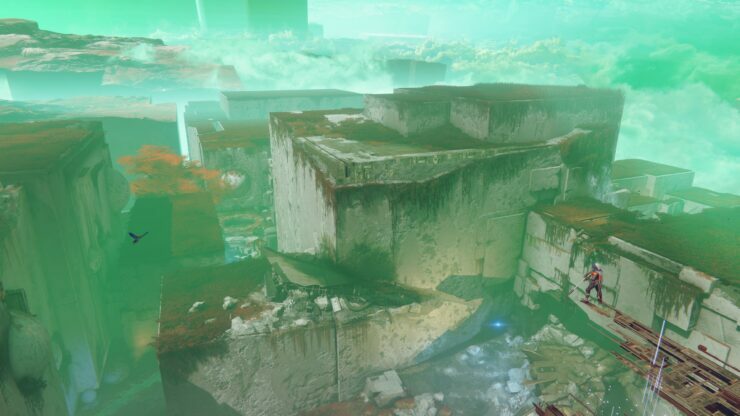 ⦁ Nessus – a strange and unstable planetoid that has been fully consumed by the Vex where players will find Cayde-6 is caught up in his own adventures in a stunning landscape of sheer walls, lush canyons, and creepy Vex caverns. 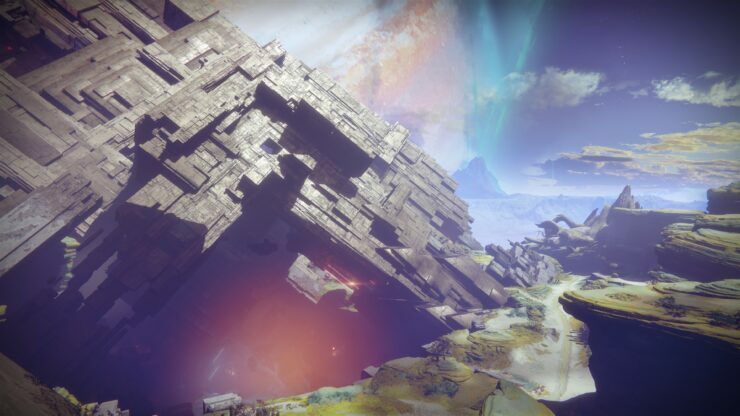 ⦁ Io – A moon of Jupiter, where Ikora Rey has gone in search of answers. 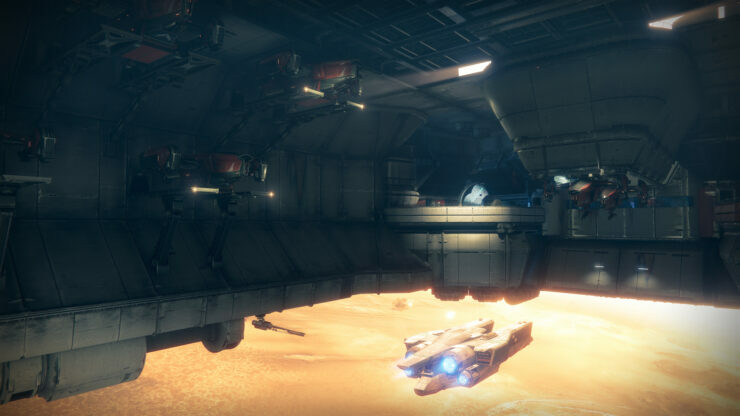 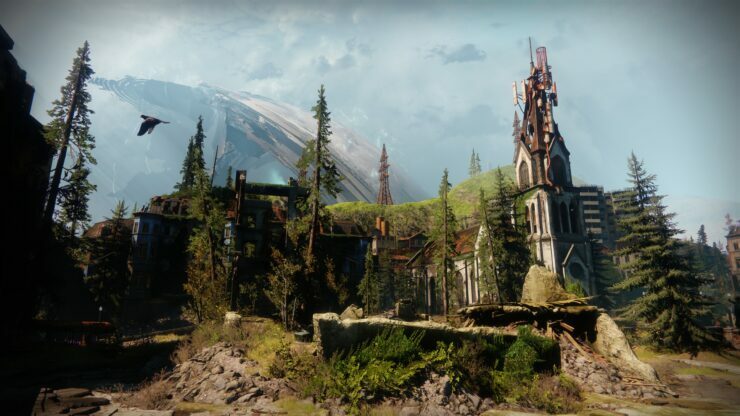 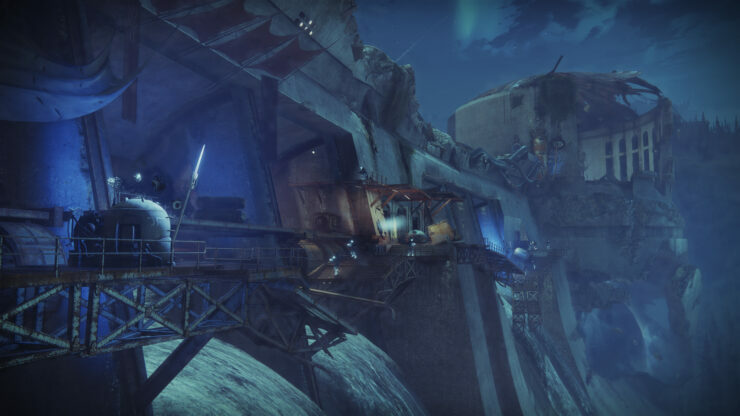 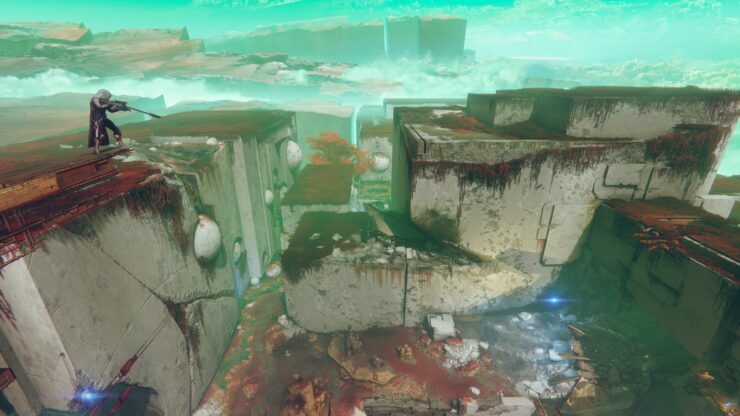 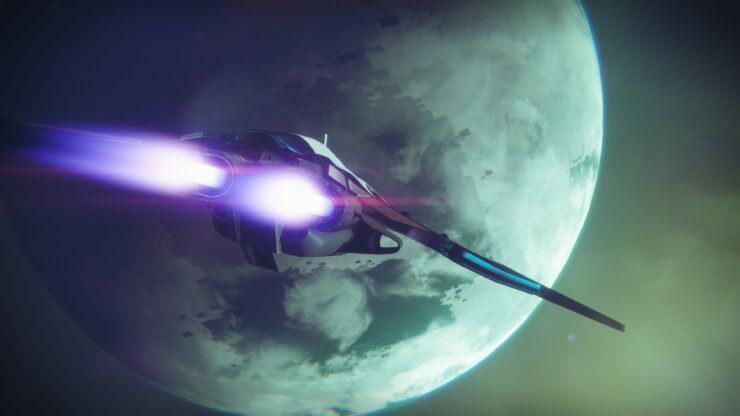 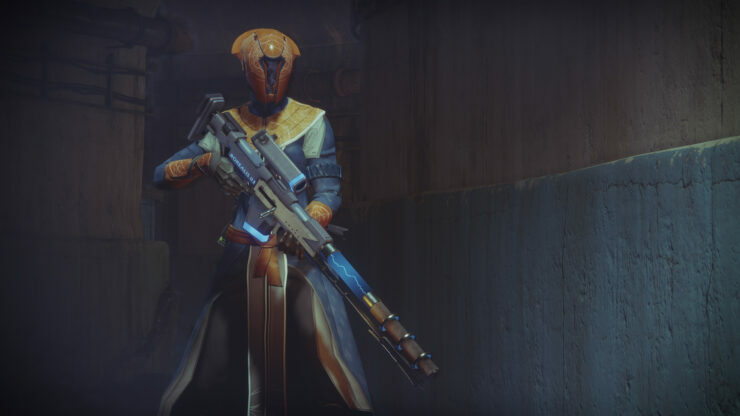 Io is the last known site the Traveler visited during the Golden Age, it’s now occupied by our enemies. 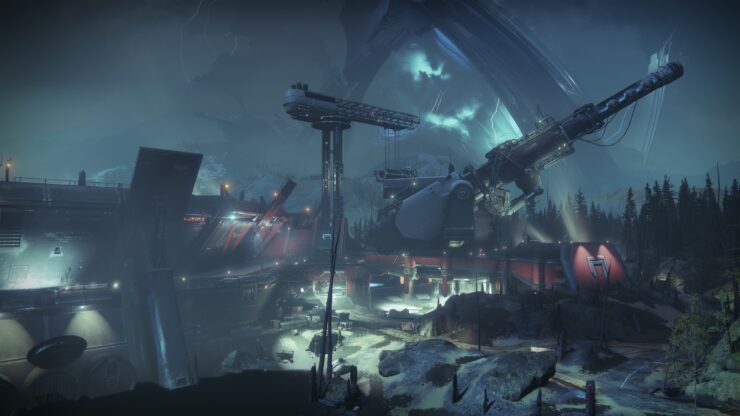 Your guide throughout Destiny 2 in your search for Adventures, Lost Sectors, new Public Events, and more. 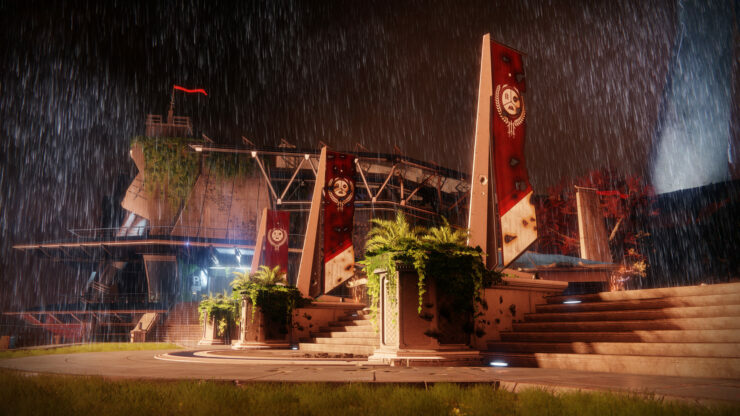 Players can pick a landing zone, explore, and seamlessly jump into other activities in game. 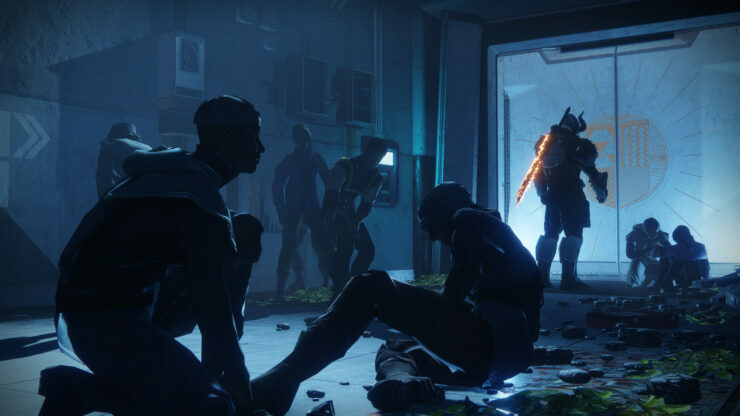 ⦁ Shorter missions with self-contained stories for players to learn more about the Destiny 2 universe and the characters that live there. 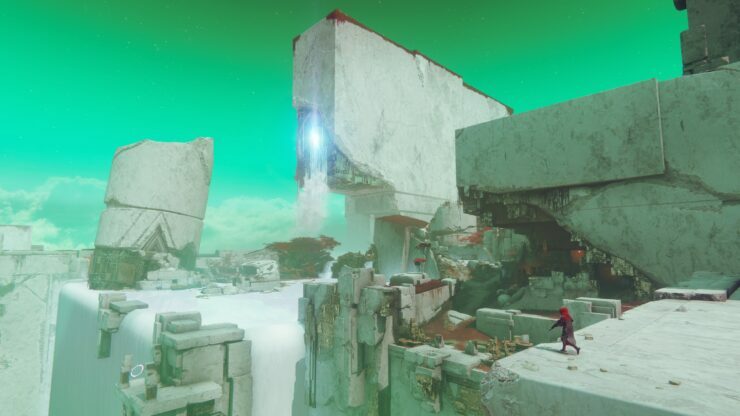 ⦁ Scattered, enemy dungeon layers throughout the world you can discover with unique boss enemies guarding treasure to earn. 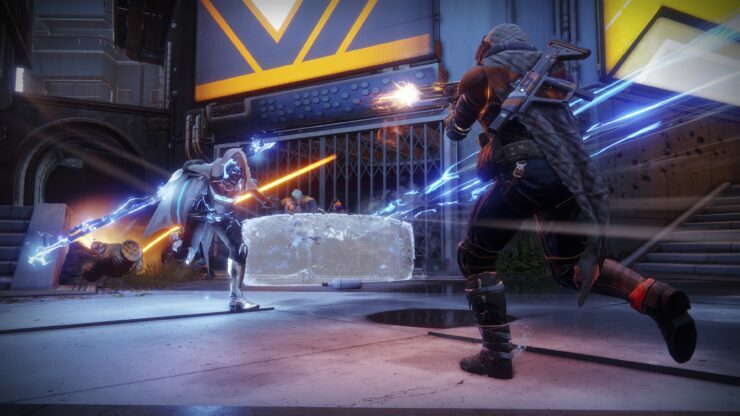 ⦁ Unique, optional, dynamic combat activities that players can join on the fly as they roam around the world solo or with up to nine other players. 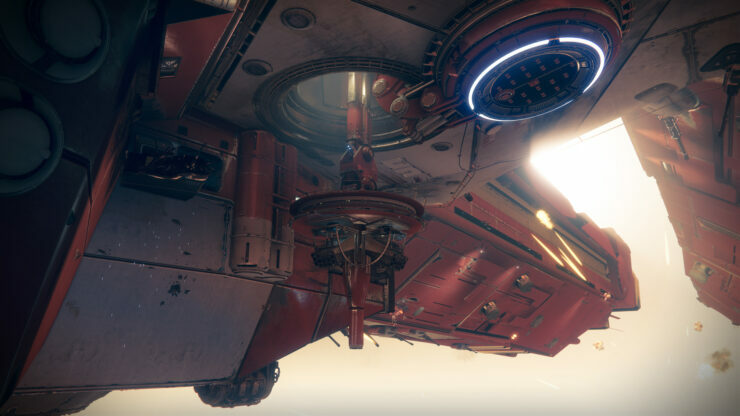 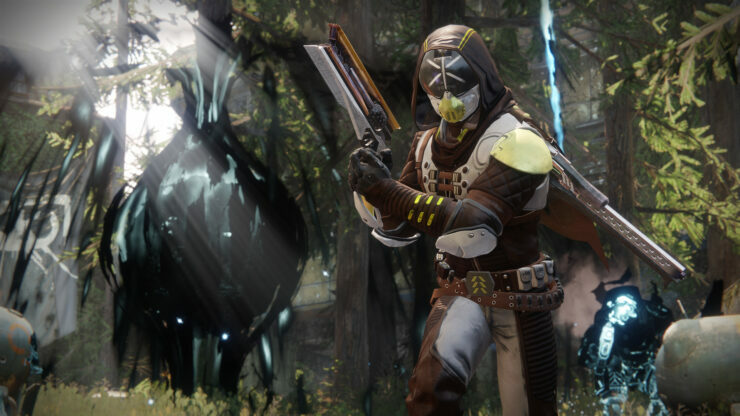 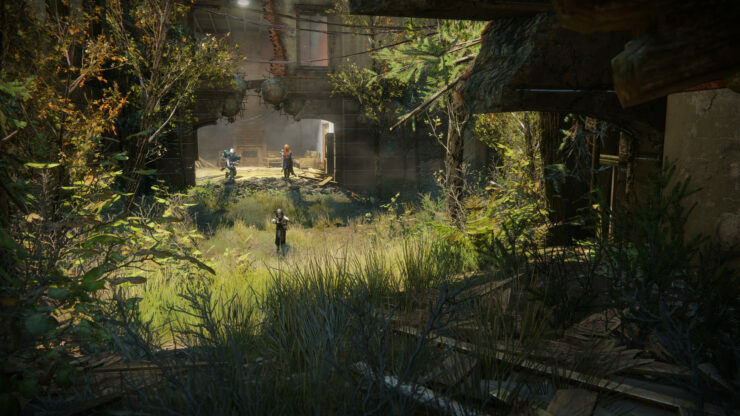 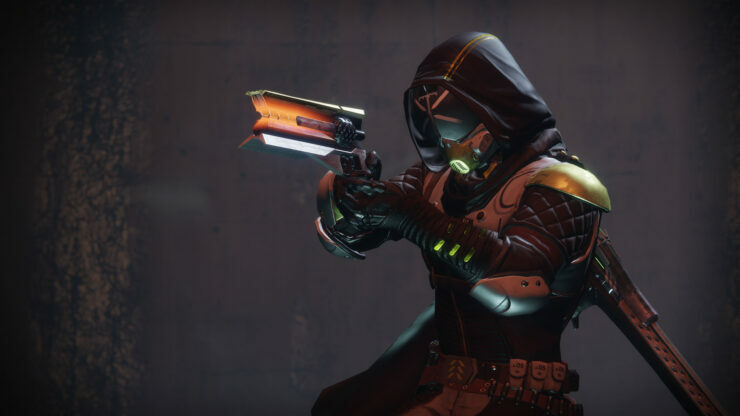 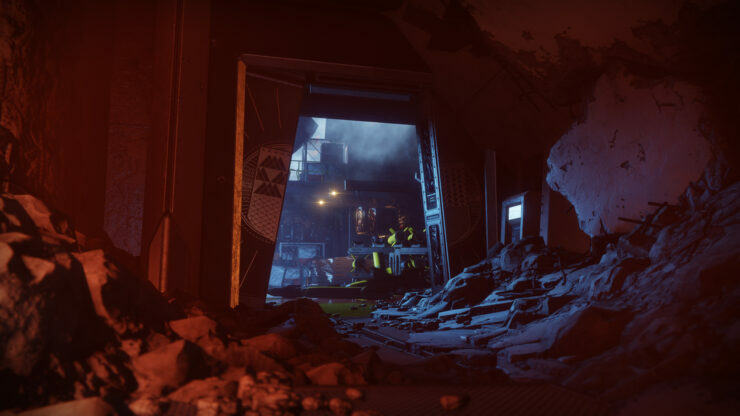 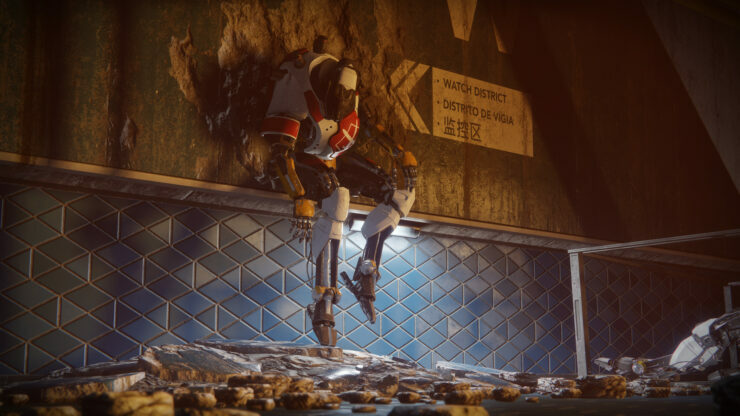 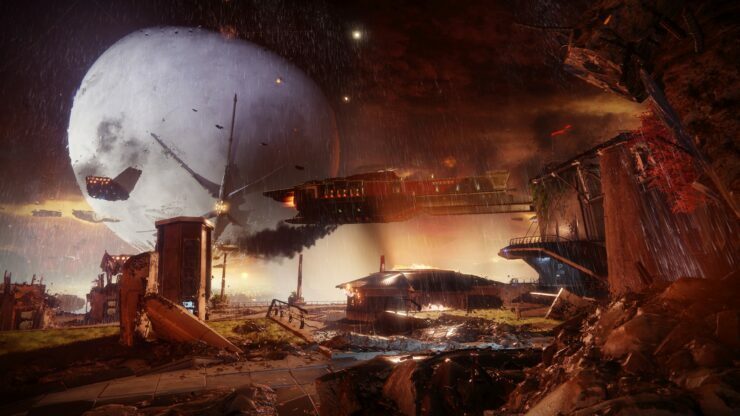 ⦁ Story Campaign – Narrative of Destiny 2’s cinematic story where players can also explore in Adventures, Patrols, Lost Sectors, Quests, and Public Events. 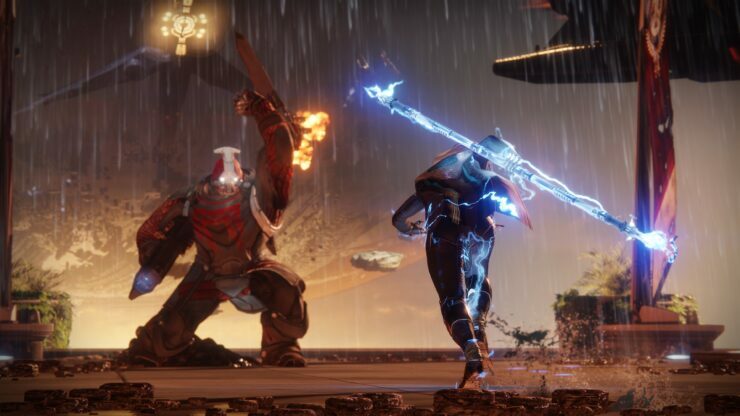 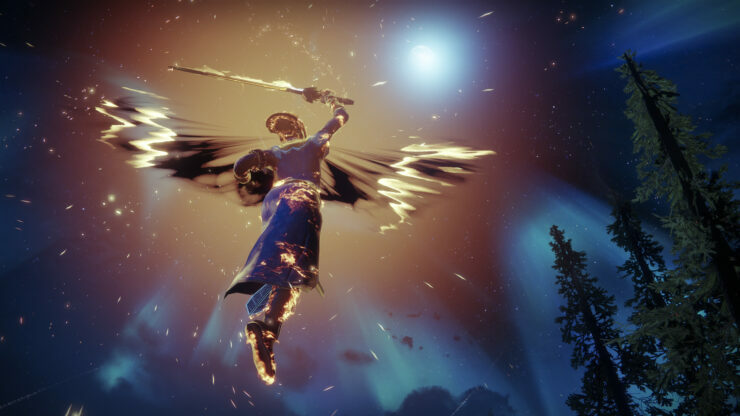 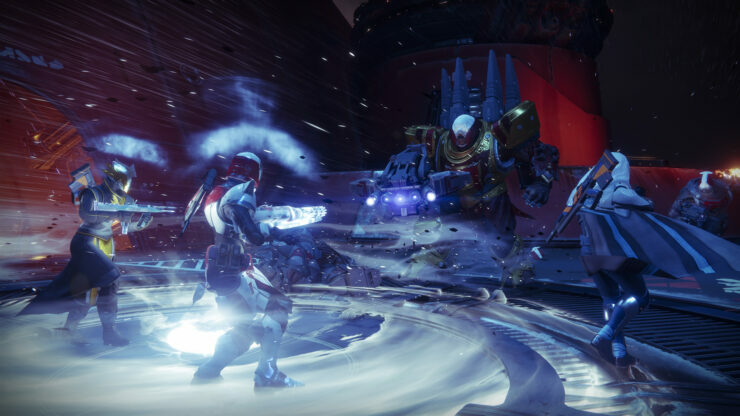 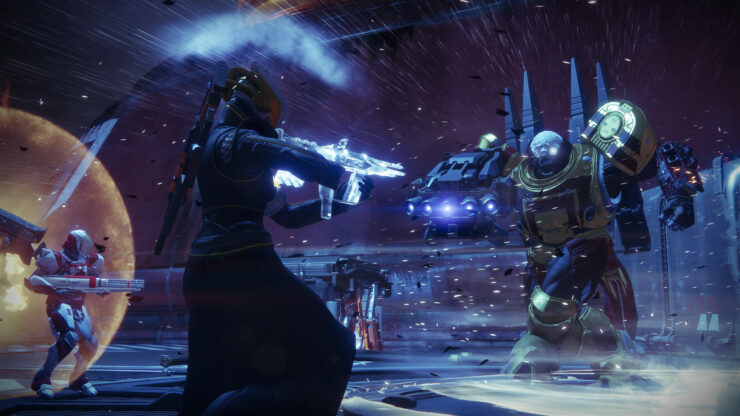 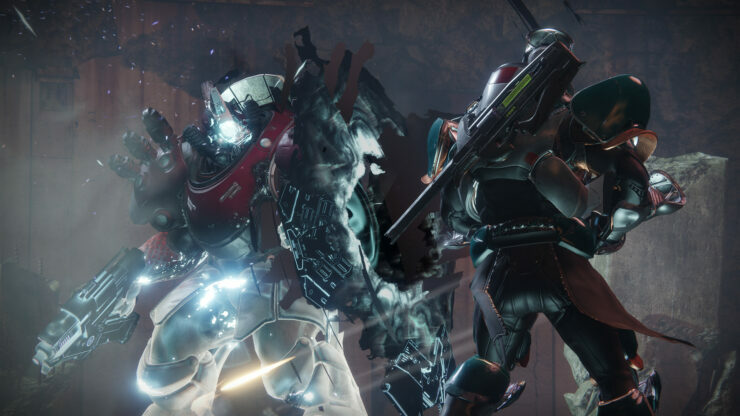 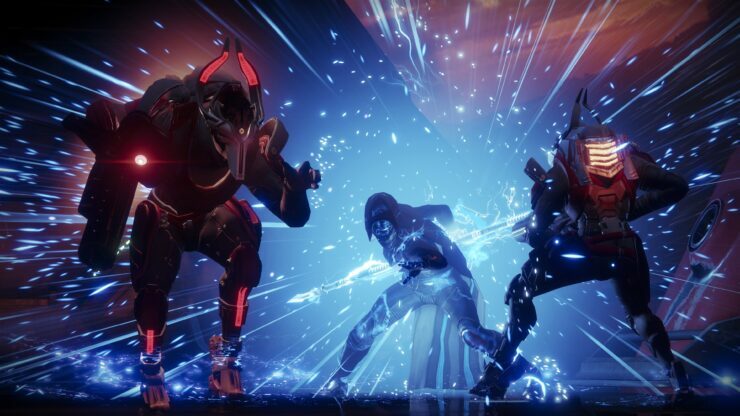 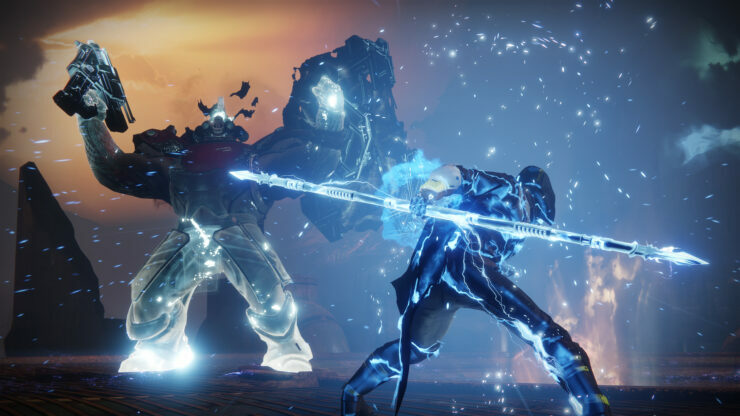 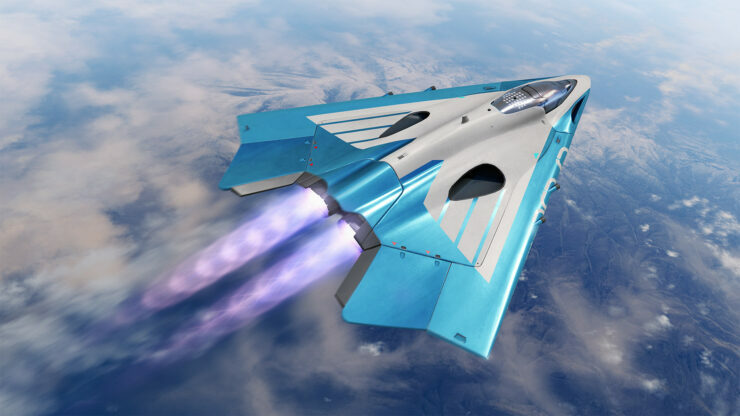 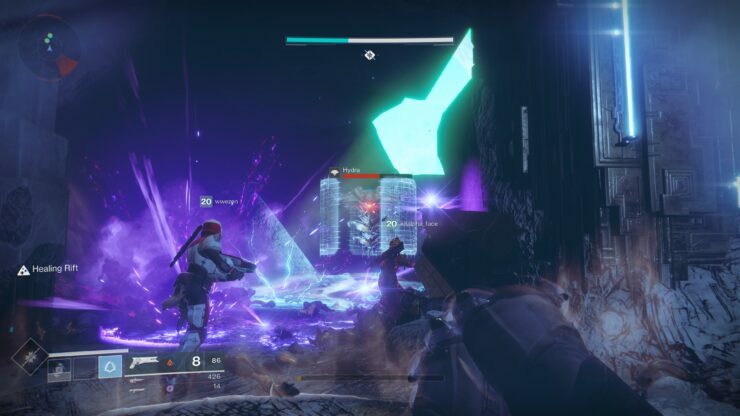 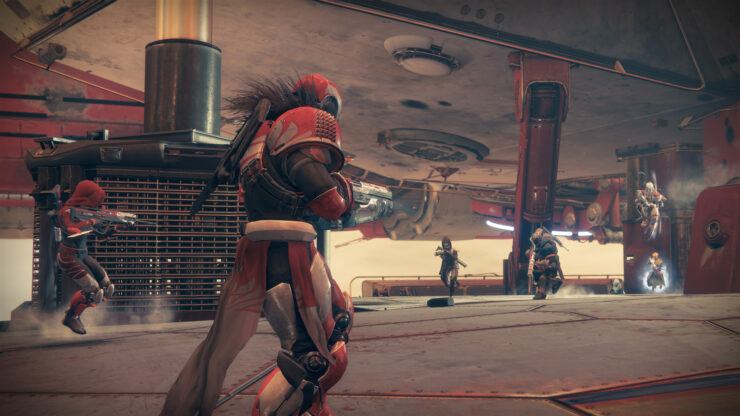 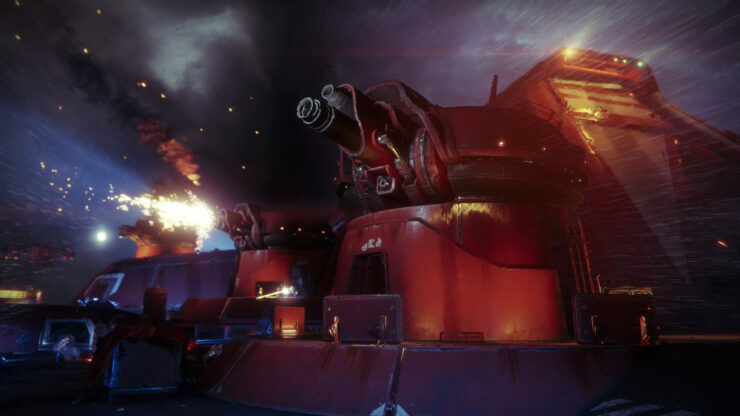 ⦁ Strikes – Three-player missions in Destiny 2. 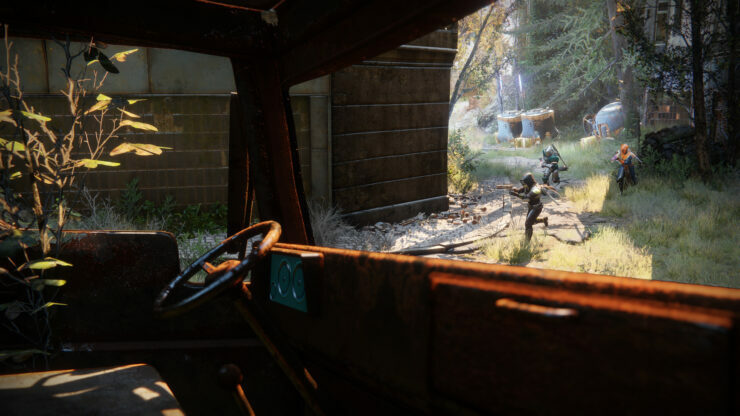 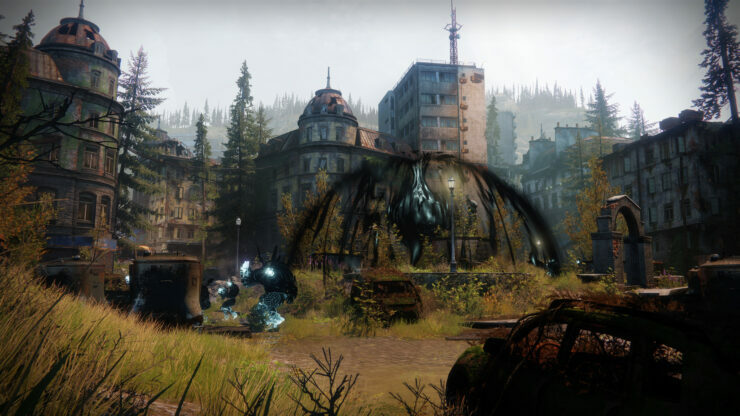 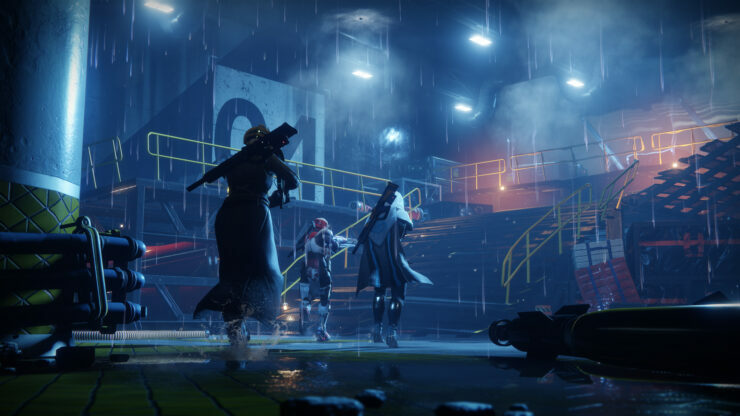 ⦁ The Raid – Six-player missions with incredible challenges and rewards. 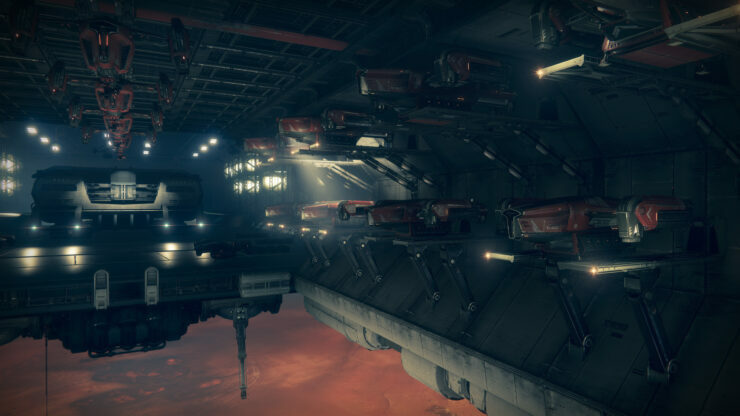 ⦁ Countdown is a new competitive mode where players spawn on either Offense or Defense, and when the round ends you swap sides and roles. 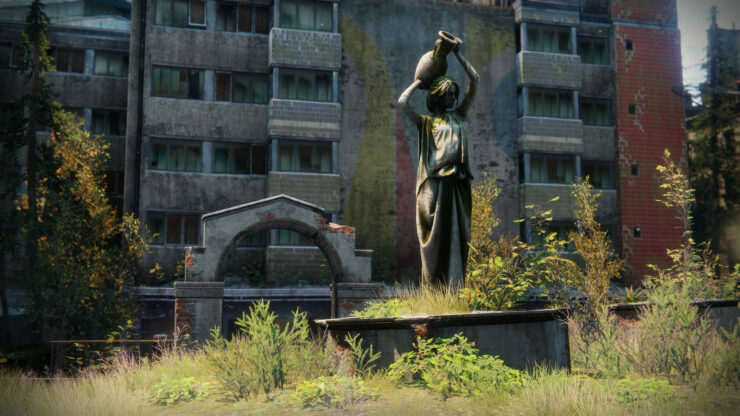 The goal is to plant a bomb at the enemy base, and then defend it until it explodes. 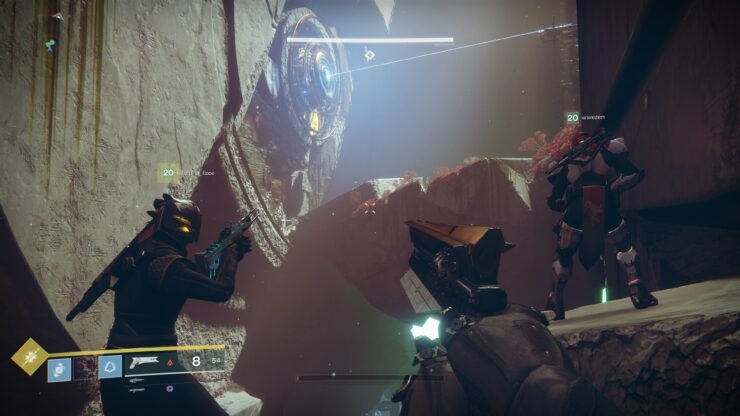 Each round is worth one point. 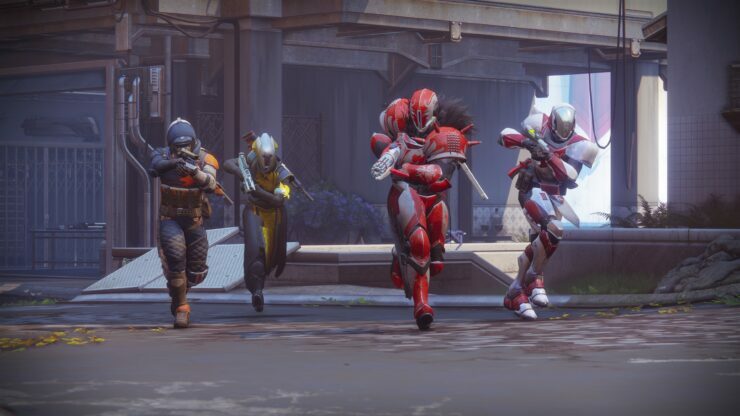 First team to six wins. 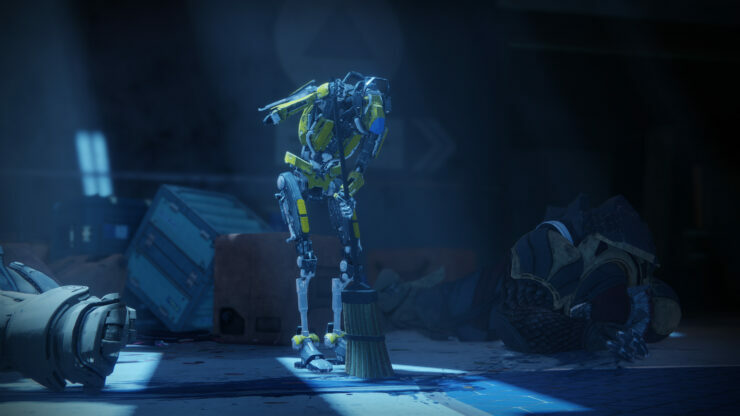 To revive a teammate, you must use a revive token. 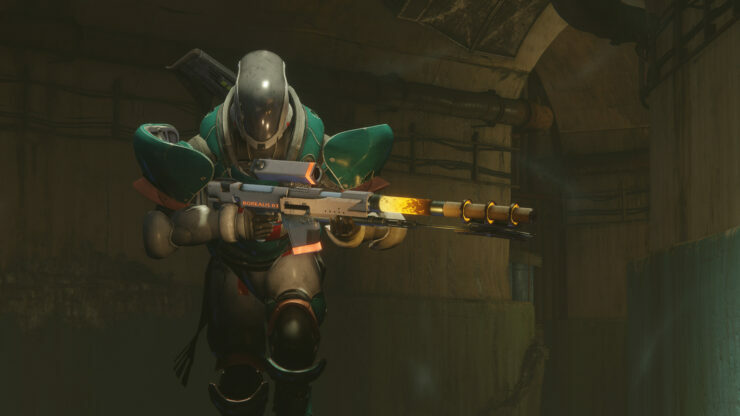 Power weapon ammo is only granted to the one player who pulls it. 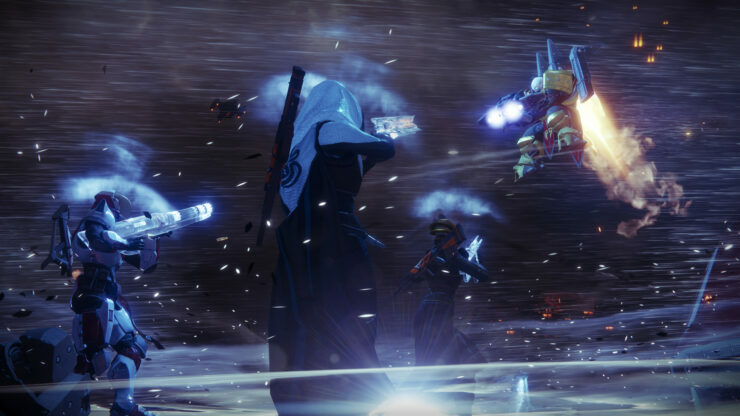 Working as a team is the key to victory. 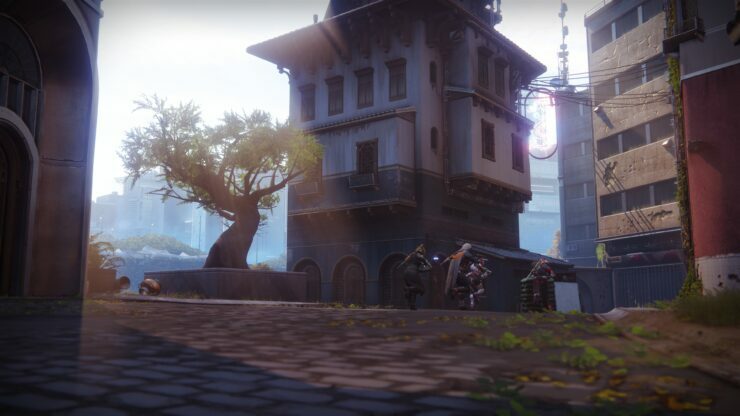 ⦁ New integrated system that allows friends to bring their community and unique culture to the forefront of Destiny. 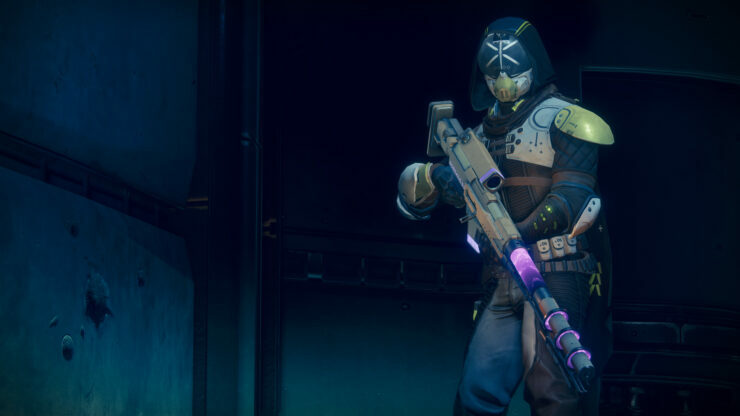 Clans have been fully integrated into the game and will provide official banners, invitations, and their own rewards and experience systems for all members. 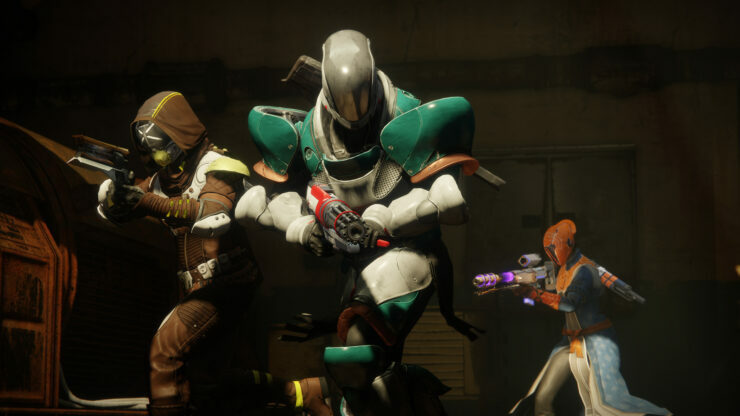 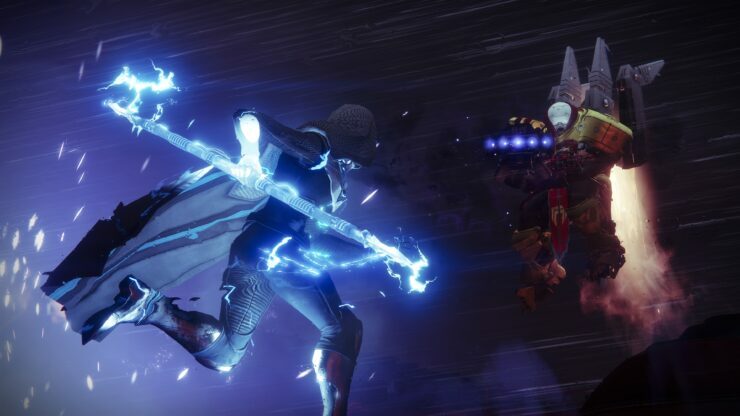 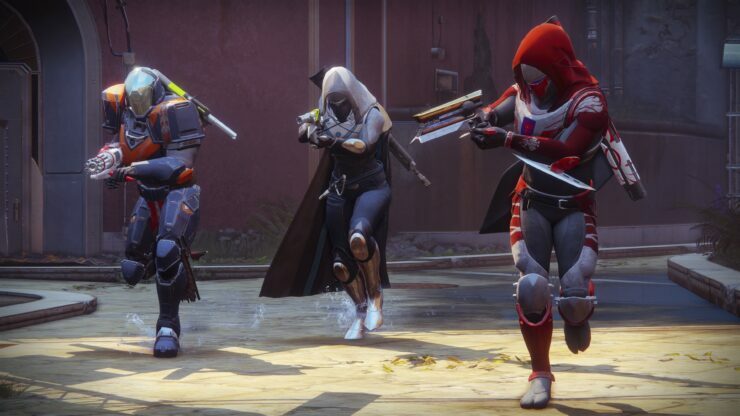 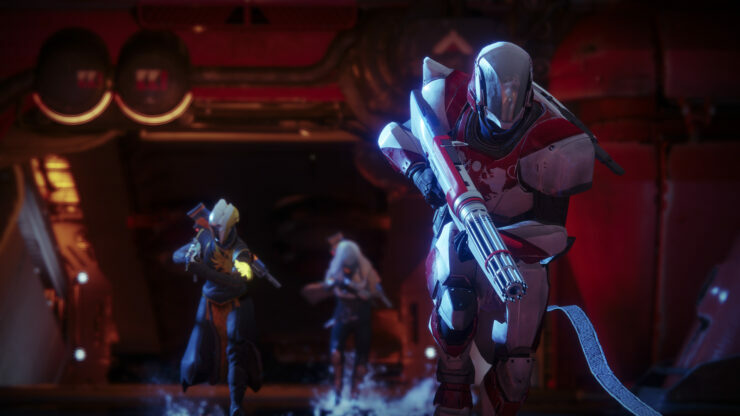 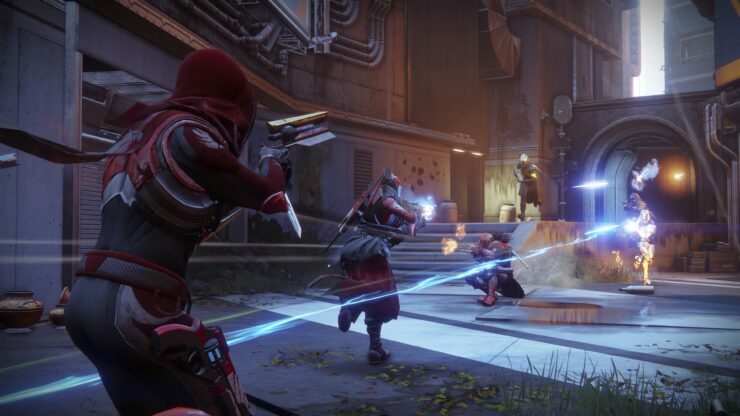 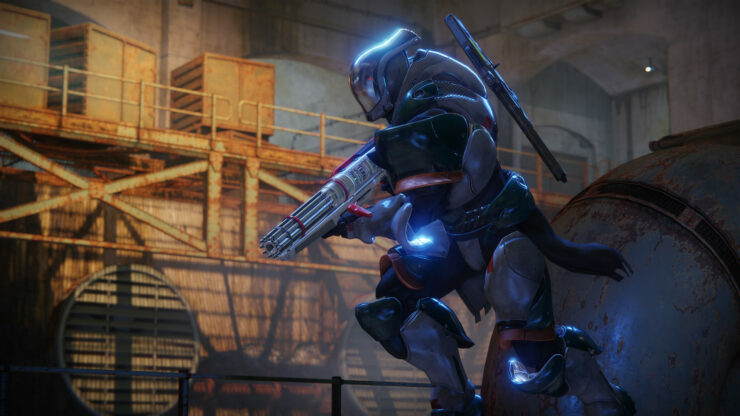 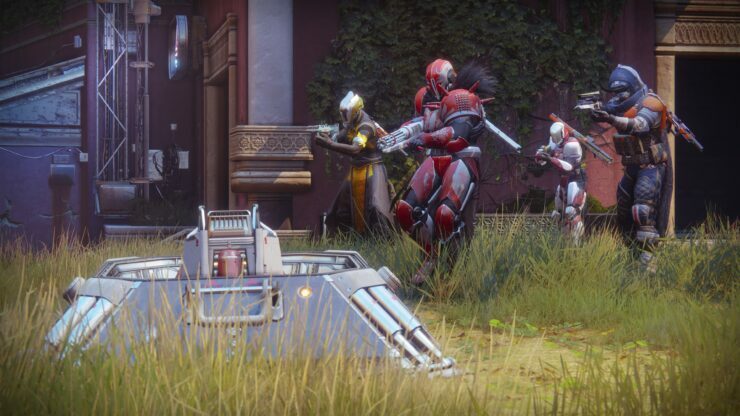 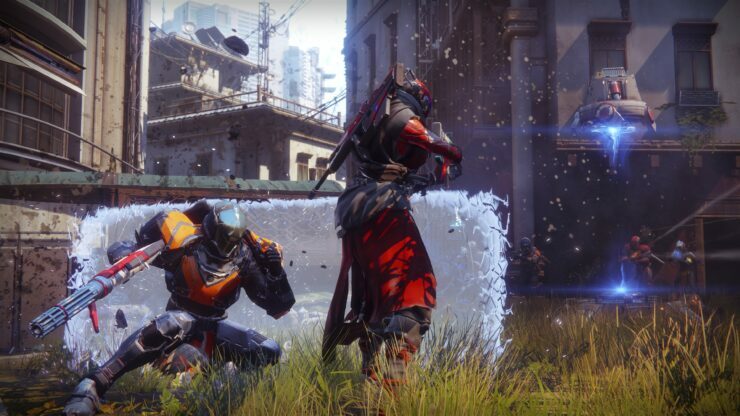 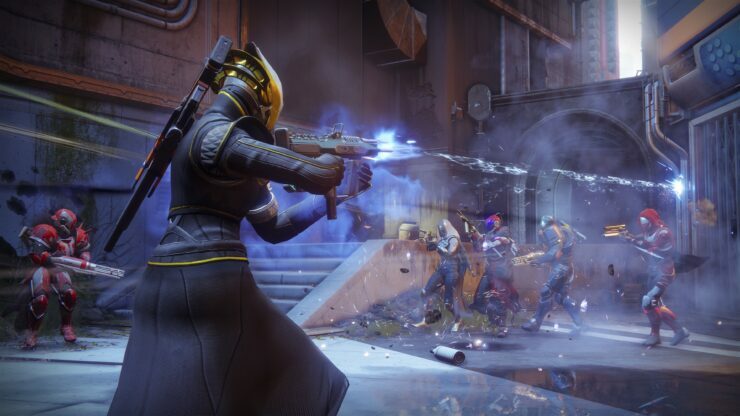 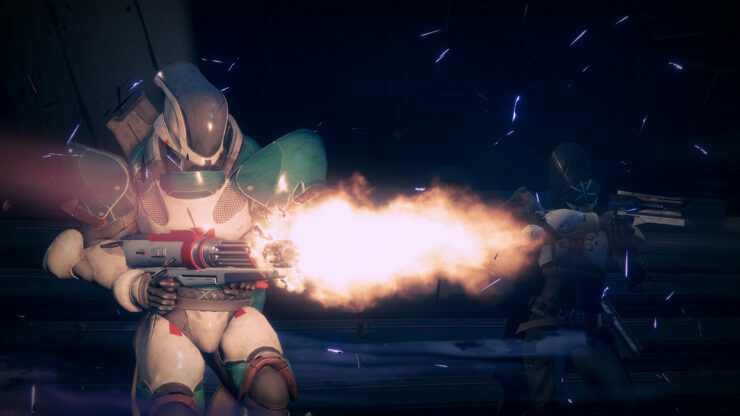 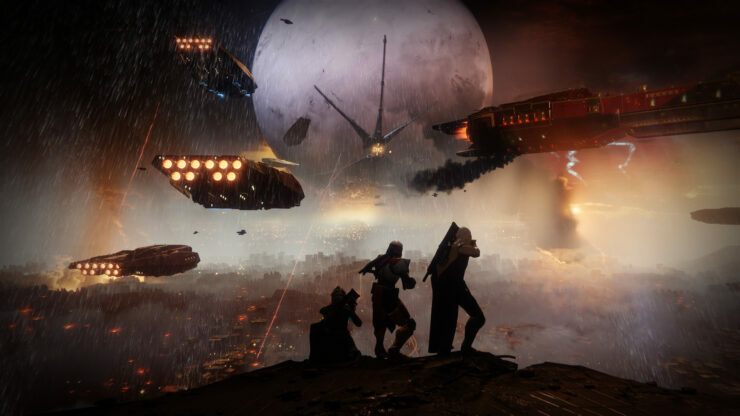 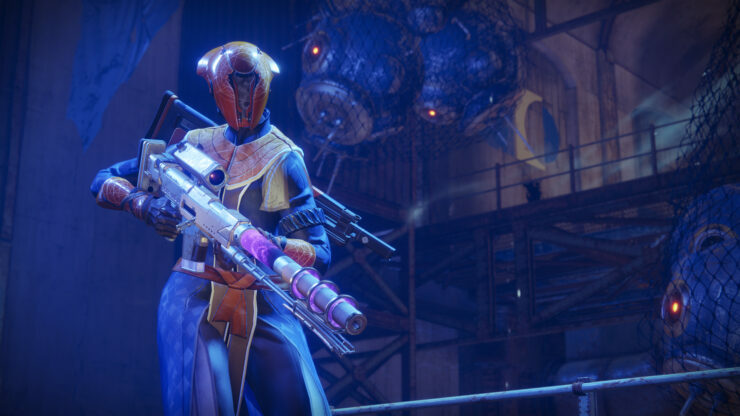 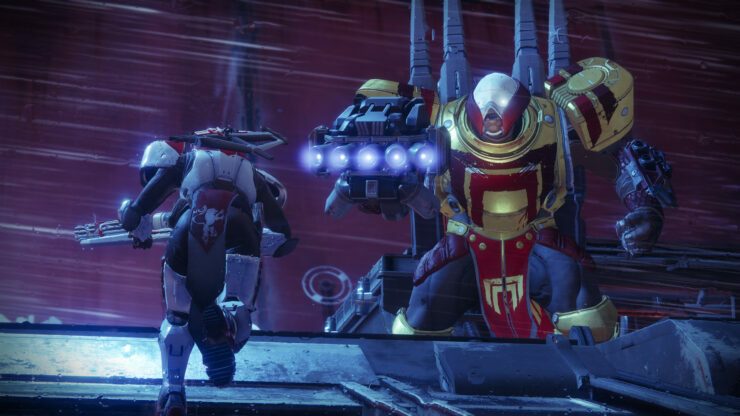 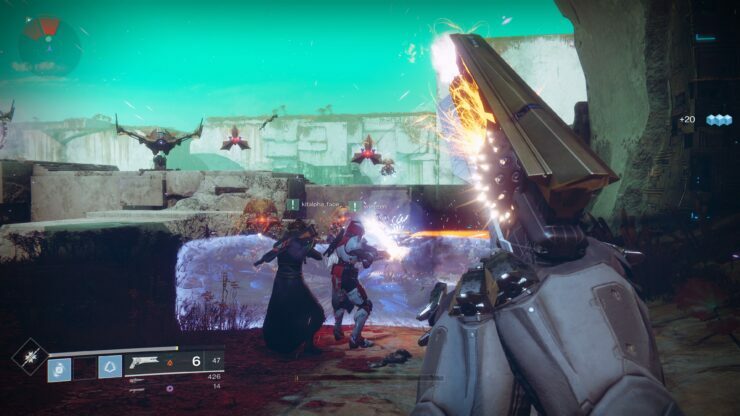 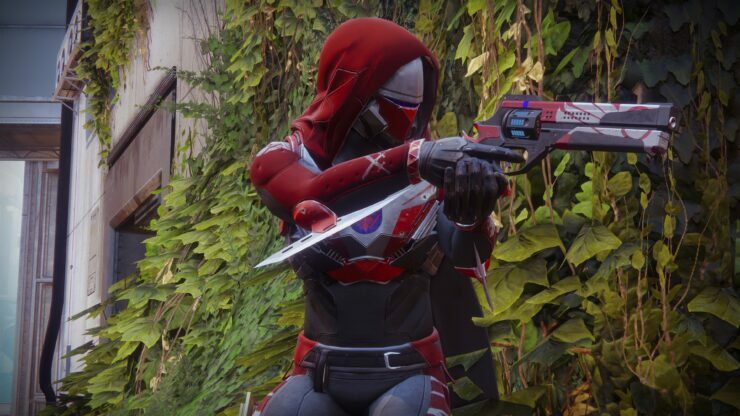 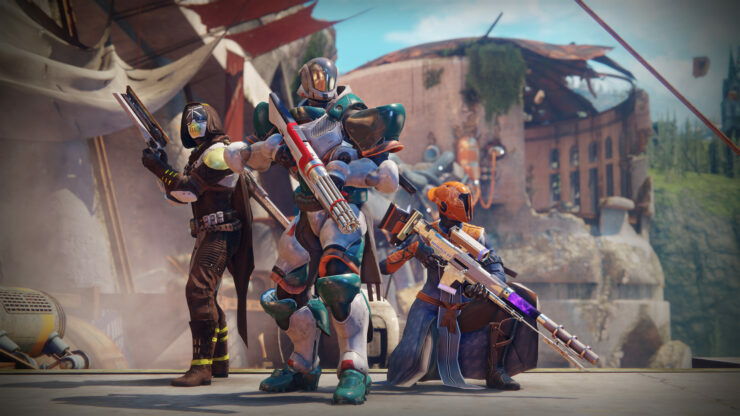 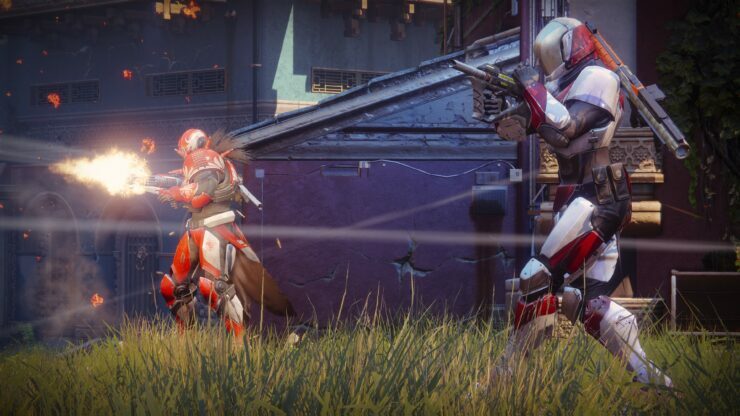 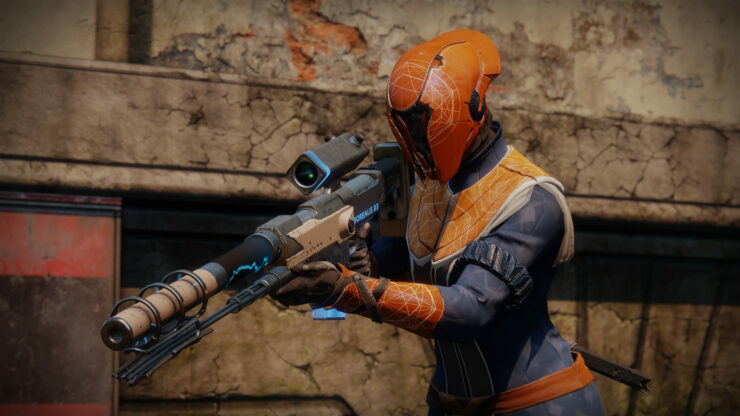 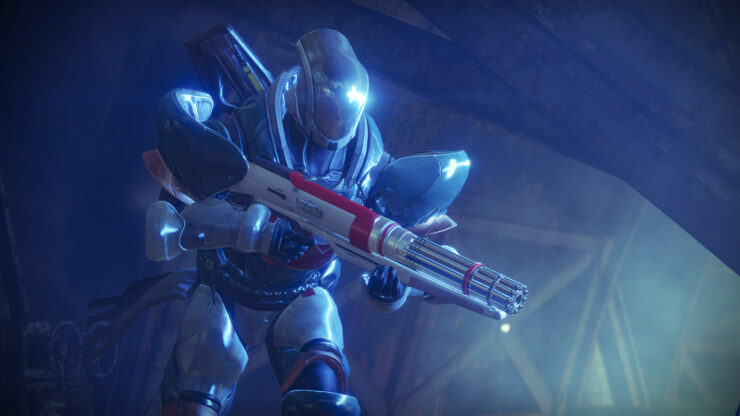 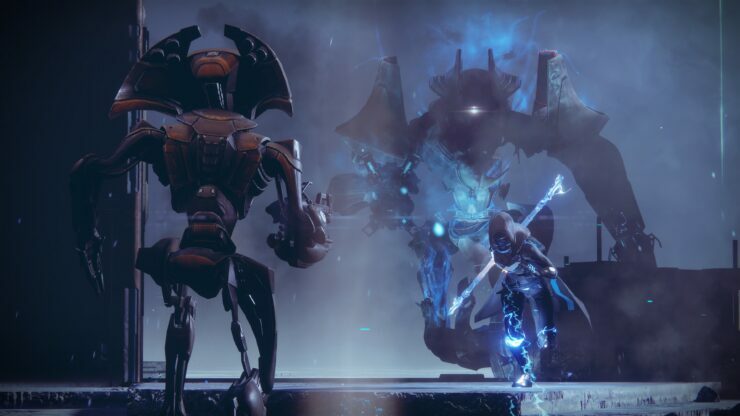 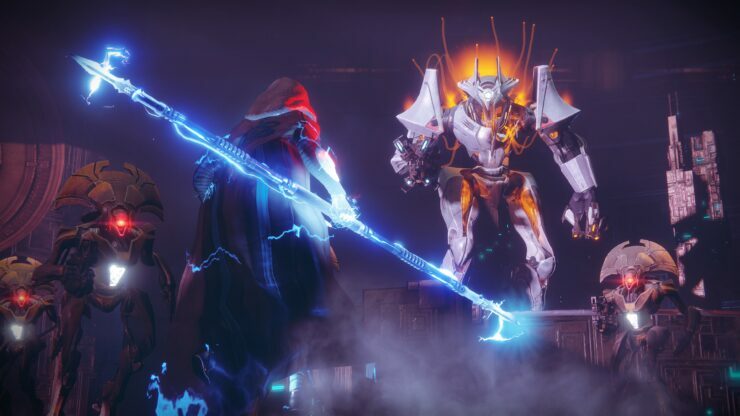 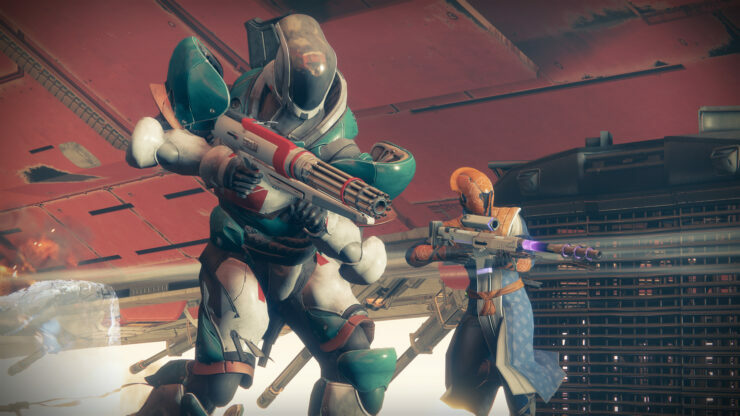 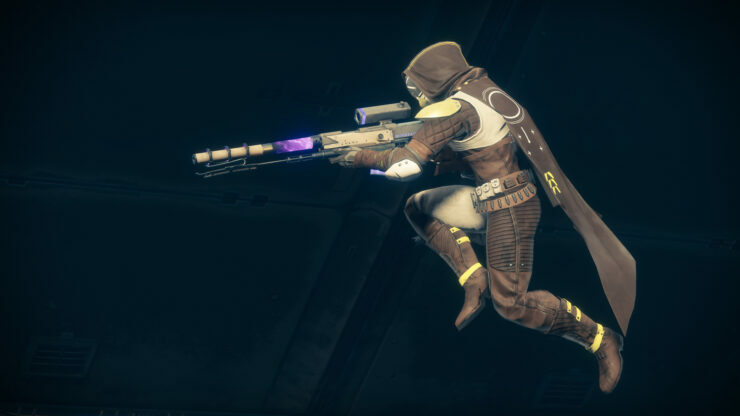 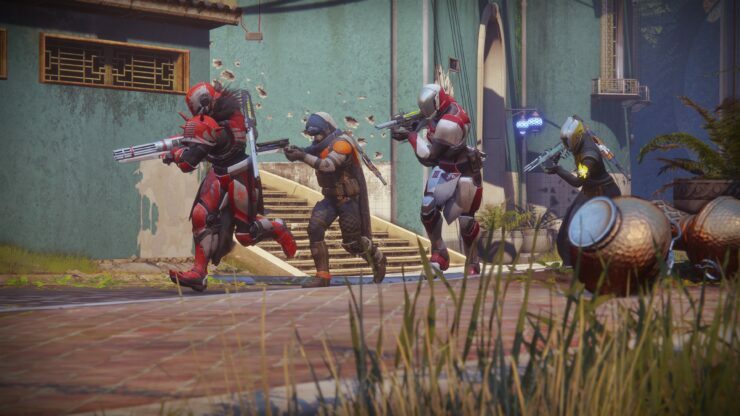 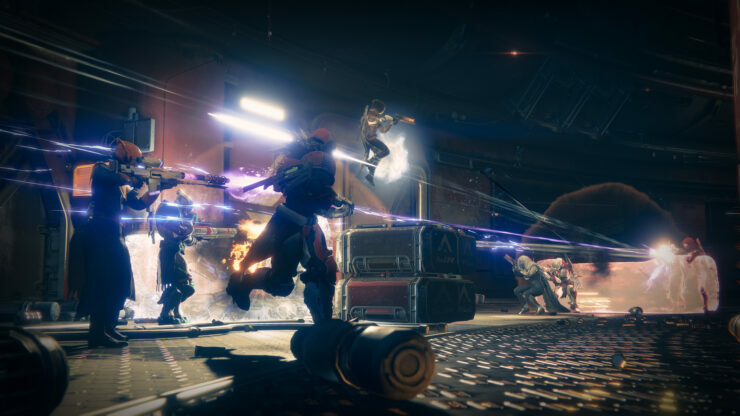 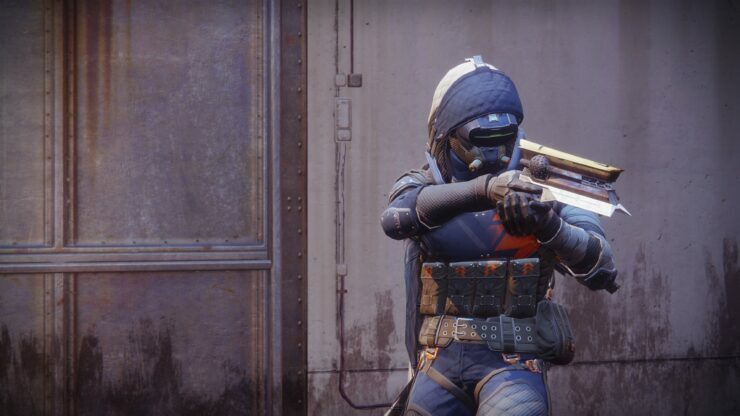 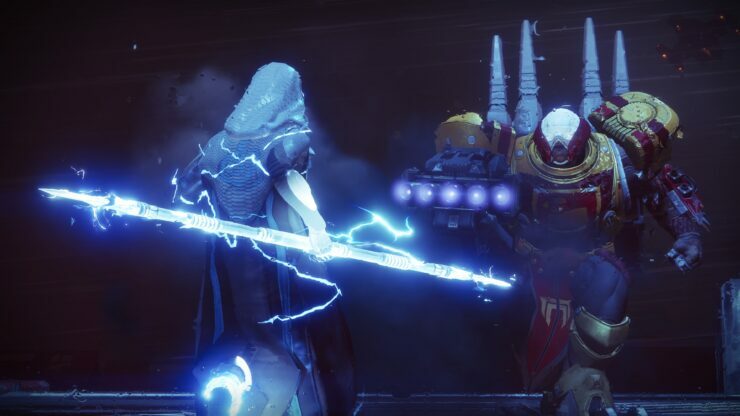 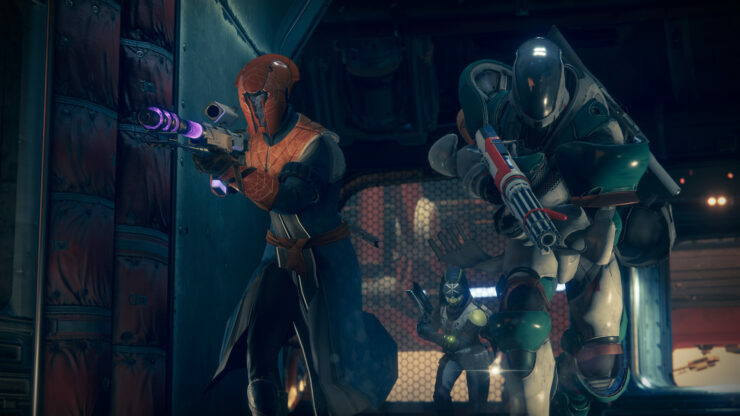 ⦁ A new feature that brings solo players and clan communities together to play Destiny 2’s most challenging activities including Raids, Trials and Nightfall Strikes. 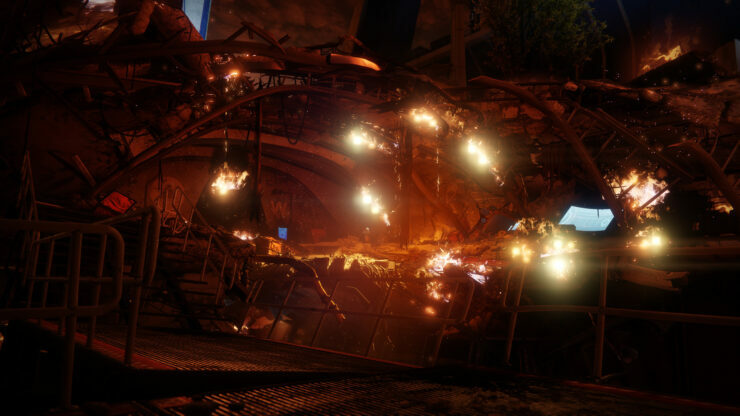 ⦁ Rises like a phoenix from the ashes and rains down flaming swords. 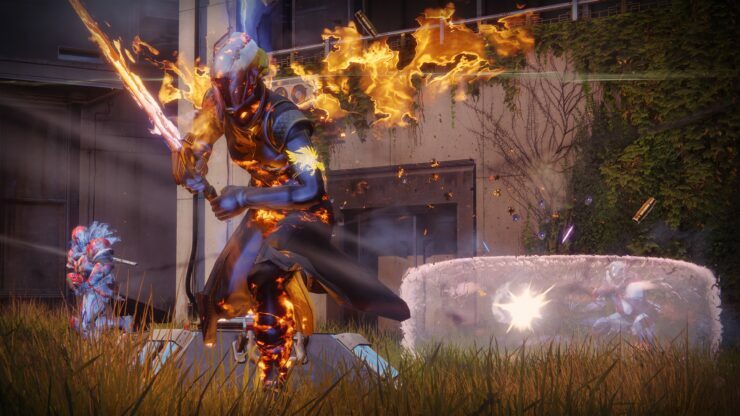 ⦁ Conjure a shield to deflect enemy fire and take down opponents at range. 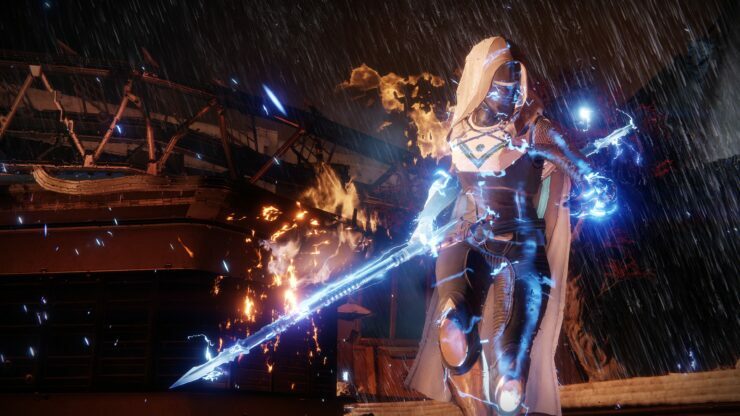 Summons an electric bow staff to devastate multiple enemies at close range. 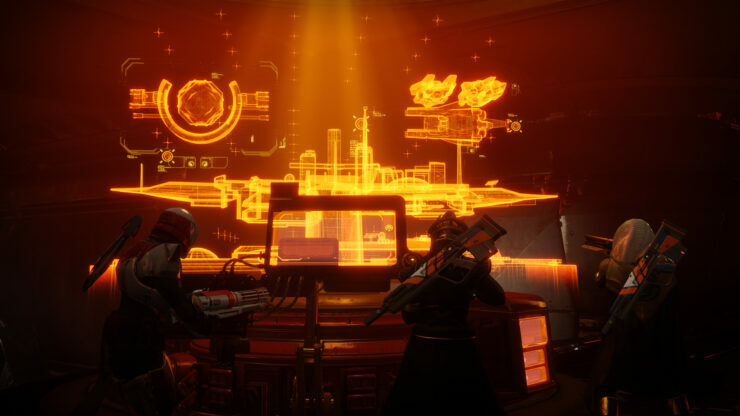 a competitive multiplayer map, a three-player cooperative Strike, a personalized ship, 3 Legendary Armor Sets, and an Exotic Sniper Rifle.